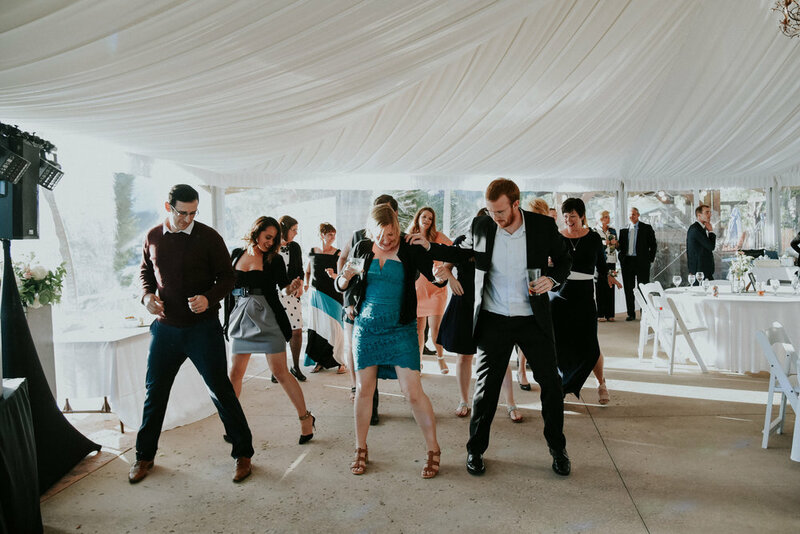 Hiring entertainment for your wedding is one of the most important decisions you'll make. The overall impression and quality of the entertainment will directly impact everyone's memory of your event. 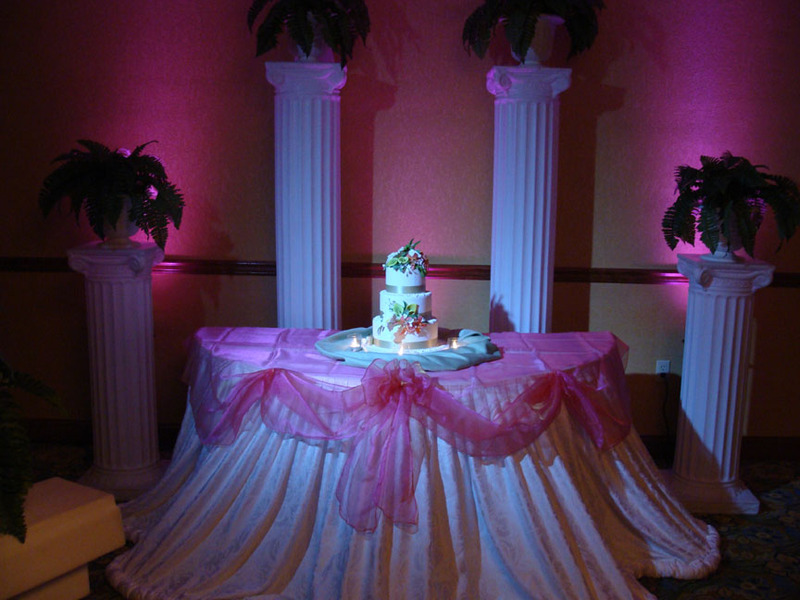 Complete customization of your event is a must and we make it a part of every wedding. Large or small, we will always ensure a fun, relaxed, and thoroughly enjoyable event that you’ll remember for years to come! "Our most important event is yours." We will do our best to ensure that your big day is the most memorable wedding ever. From the music, events, to guest interaction your entertainment will be exactly the way you intended it to be. Complete customization of your event is a must and we make it a part of every wedding. You decide on which songs or events you like, and of course the ones you don't. Our goal is combining music knowledge, selection, high-quality sound, and presentation are on equal par with dedication, and where trust and peace of mind are the most powerful motivators for our clients to commit. We have partnered with select vendors to help make your experience as smooth and worry-free as possible. The owner, Mykey, has been entertaining the Pacific NW for over 25 years. He has taken his nightclub, wedding, and event music and lighting skills and incorporated them into a mobile production company. How this differs from other Dj companies is that we are not Djs that just play music and throw up some lights around the room. 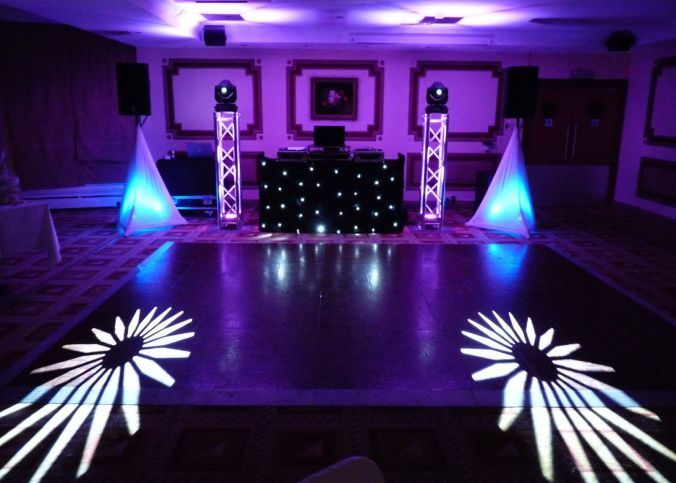 We offer Dj/Entertainment, Master of Ceremonies, Lighting Design and planning. 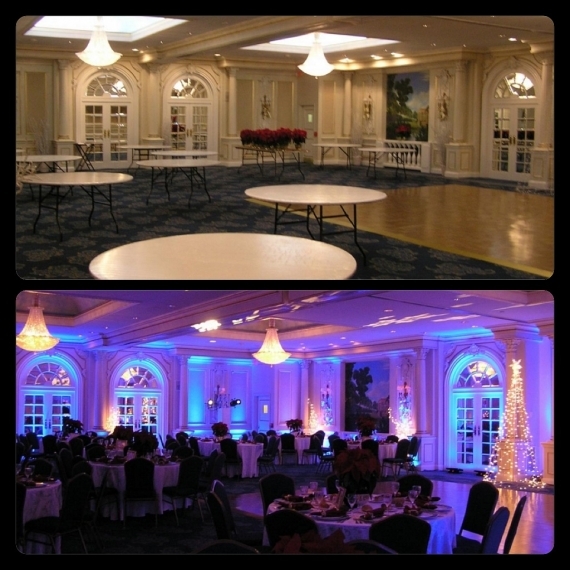 With lighting design, we will transform your theme and ideas into a visual spectacle that will WOW every guest. Add that to professional Emcee skills to create peace of mind and flow to your big day. By helping you plan your timeline, you can allow us to take the stress off you so you can enjoy planning your wedding. And of course you will get the very best in music and sound production. We truly feel that our most important event is yours. Which is why providing the best atmosphere for our clients sets us apart from any other company. We use professional grade equipment from manufacturers like QSC, Rane, Technics and Chauvet to provide the best sound and lighting quality. A clean and professional appearance is very important to us. We use wireless DMX to control our lighting and diligently hide our wiring to maintain a sleek and clean look. Our music library consists of over 100,000 songs. We play from the 40s, 50s, 60s, and all the way up to what came out yesterday. No matter the genres you want, the choice is yours! 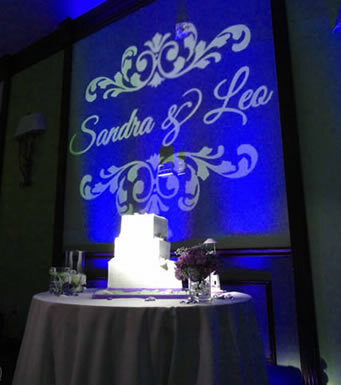 Depending on you lighting needs, we can provide customized uplighting, colored ceilings, wall textures all to match your wedding colors or decor. 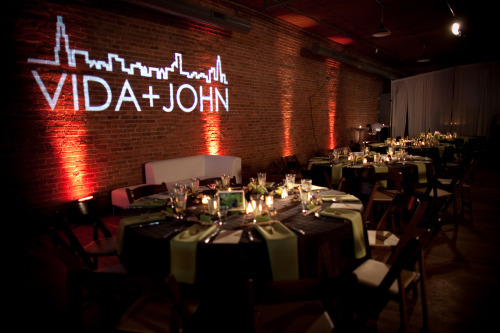 We also offer custom monograms that can project the bride and groom's name anywhere! 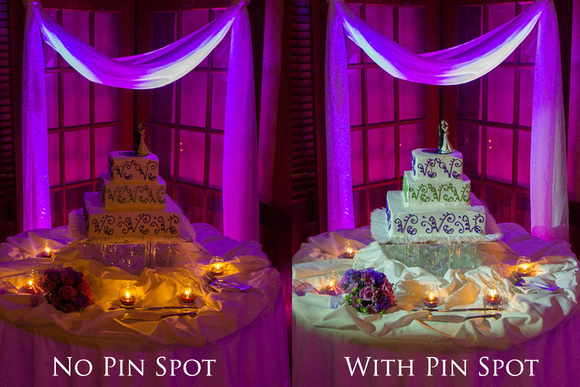 Another beautiful addition to your reception is to "feature" your wedding cake with pinspot lighting. We can also ransform the dance floor from a 50s-era sock-hop to a modern day nightclub. Why not put it on the big screen? Whether it is music videos, playing your custom slide show or home videos. We offer monitors mounted on stands to using a 100" screens and a hi-definition projectors. Our prices start at $895. Prices vary depending on the packages and upgrades, such as lighting, ceremony music, video services, travel and any other additional services above and beyond the base prices. Please contact us for more pricing information.